Duane began his racing in motorcycles. He then progressed to Sand Drag racing. He had a Ken Fuller front motor, injected on nitro, dragster that brought him to "Christmas Tree" racing. In 1996, Duane bought his first alcohol dragster from David Busby. He went to Frank Hawley's Drag Racing School and received his license. It took over a year learning for the team to win a single round. The team tried to learn from each lap down the track. Finally, their first national event win came at the Autolite Nationals in Sonoma. CA in August, 1999. 2002, was the year Shields Racing achieved their best results so far with a win in Houston, followed by a win in Englishtown, NJ where Duane made the quickest run ever by a blown alcohol dragster at 5.263 seconds at 269 mph, setting the National ET record. Duane won the Car Craft All Star Award for Top Alcohol Dragster. He also won the Division 7 Championship and the team finished #2 Nationally. 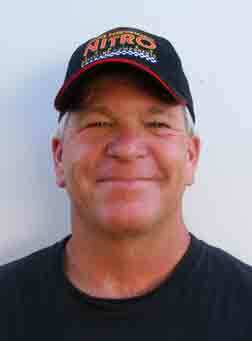 In 2004, Duane won the NHRA CarQuest Nationals. 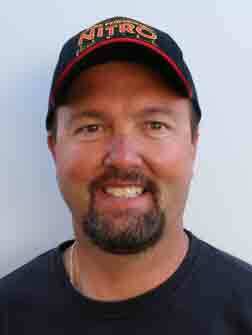 And in 2006, he won the NHRA Winternationals and a national event in Dallas, Texas. Shields also won the Division 7 Championship in 2007, and back to back divisional events in Arizona and the Fram Autolite Nationals in Sonoma, California. 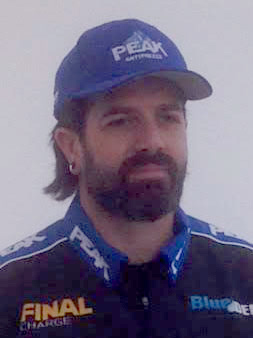 In 2008, Duane won the NHRA CarQuest Winternationals. 2009 and 2010 were also big years for the Shortline Express team as they won the Division 2 Championship both years and numerous national events but fell short of winning the NHRA Top Alcohol Dragster World Championship by close margins. Then in 2011, Duane and his team took the World Championship down to the wire, winning national events in Pomona and Englishtown as well as Lucas Oil Drag Racing Series divisional events in Atlanta, Gaineville, Maplegrove and Englishtown. In fact, Duane is undefeated in races ha has cntested in Englishtown. At the last race of 2011, the Auto Club Finals in Pomona, Duane and his team finally realized their goal of 14 years and won the NHRA Top Alcohol Dragster World Championship. After a challenging year in 2013, Duane's having a great year in 2014. 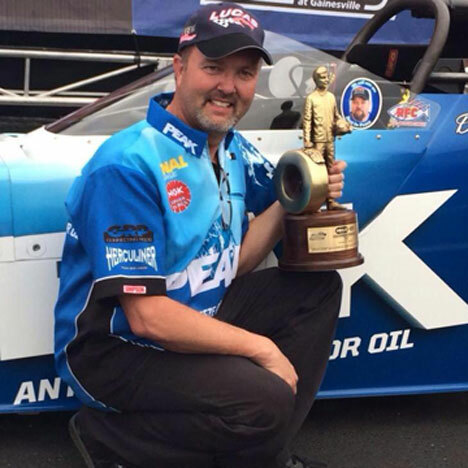 Duane won the NHRA Gatornationals for a third time and also won the rescheduled Houston NHRA Regional event all in the same weekend. Dana helped tune Duane to the 2011 Top Alcohol Dragster Championship and has been a highly regarded crew chief since the beginning of A-fuel racing. Jason has two very important jobs. First, he's the team manager and takes care of many important tasks behind the scenes so Duane and the crew can focus on their jobs. Second, Jason takes care of the transporter and drives it all over the country so the PEAK Dragster always arrives safely at the next race on the schedule. While being the wife to Dana can be a full time job, Sheryl drives the tow car, packs the parachutes, and ensures the team is well fed at the races. She is also a talented water color artist. 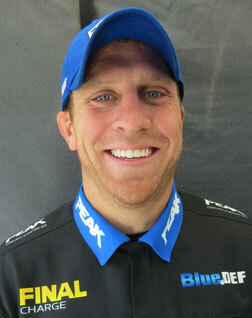 Cam Brady is the newest member of the Peak A/Fuel Dragster crew. Cam assists the race team by doing whatever needs to be done in order to get the dragster turned around for the next round.